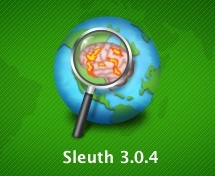 In the past, BrainMap has utilized the Brett transform to convert MNI coordinates to Talairach space (mni2tal). However, we recently switched to a new MNI space to Talairach space transform called icbm2tal. The findings of Lancaster et al., 2007, show that MNI/Talairach coordinate bias associated with reference frame (position and orientation) and scale (brain size) can be substantially reduced using the best-fit icbm2tal transform. This transform has been validated and shown to provide improved fit over the Brett mni2tal transform. Separate best-fit transforms were determined for SPM2 (icbm_spm2tal) and FSL (icbm_fsl2tal). A best-fit icbm2tal transform was also formulated pooling SPM2 and FSL data (icbm_other2tal). 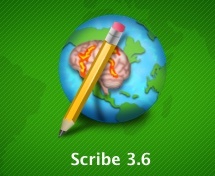 In BrainMap, we record both the brain template and the software used for spatial normalization. When this information is inserted into the database, we apply a coordinate transformation based on the reported template/software combination. Currently, a transform is applied to all MNI coordinates that are added to the database. If the published coordinates were converted from MNI space to Talairach space using the Brett transform, then BrainMap will "unBrett" these coordinates using tal2mni, and apply a version of the icbm2tal prior to insertion into the database. PLEASE NOTE: The transformations for converting between MNI coordinates obtained using SPM2 and FSL have been validated. All of the other ways in which we transform MNI coordinates to Talairach space (e.g., SPM5, SPM96, SPM99, etc.) have not been validated and therefore should be interpreted with caution. We have tried to make the best of what can only be viewed as a nasty situation. In contrast to MNI coordinates, BrainMap does not perform any transformation of coordinates in Talairach space (listed below). We cannot be sure if this is the correct approach for all software packages. Specifically, we are sure that some transformation should be applied to coordinates derived from the Human Brain Atlas (Roland and Zilles, 1994). However, we are unable to do so until a transformation has been developed and validated. ONE LAST THING TO CONSIDER: We have attempted to accurately record the template and software used for spatial normalization. However, this information can be difficult to ascertain. Specifically, when authors use SPM for data analysis and report their coordinates as "Talairach coordinates", it is often very hard to determine if they used the Brett transform or are simply unaware of the differences between MNI and Talairach spaces. We have done the best that we can. If you see an error in the recorded template for a given paper, please email us and we will correct our mistake. 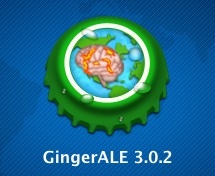 To convert your coordinates between the MNI and Talairach spaces, you can use our java application, GingerALE to convert your coordinates. 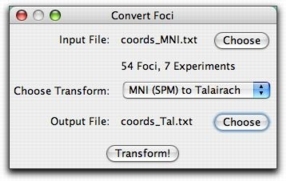 In GingerALE, click on Tools → Convert Foci. This menu item will open a dialog window that will guide you through the conversion of your coordinates.